FAR HILLS, N.J. (Feb. 21, 2017) – The United States Golf Association (USGA) today announced local qualifying sites for the 117th U.S. Open Championship. 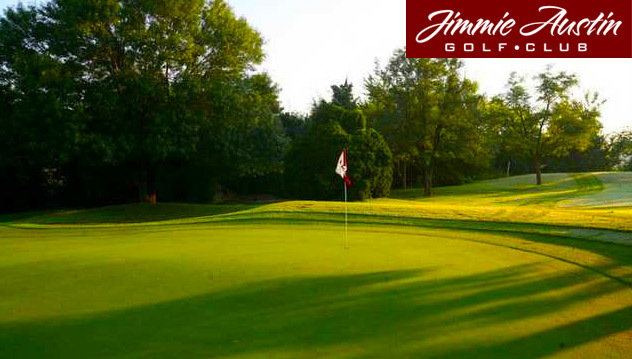 The Jimmie Austin OU Golf Club in Norman will host the only Oklahoma qualifier on Tuesday, May 9. The course has undergone massive renovations led by Norman architect Tripp Davis. The U.S. Open will be contested for the first time at Erin Hills, in Erin, Wis., on June 15-18. Local qualifying, conducted over 18 holes at 114 sites in 44 states and Canada, will take place between May 2-18. Canada will host a local qualifier for the first time. Those players who advance out of local qualifying will compete in sectional qualifying, which will be conducted over 36 holes at 10 U.S. sites on Monday, June 5. For the 13th consecutive year, Japan and England will host international sectional qualifying, both scheduled in late May. In 2016, the USGA accepted 9,877 entries for the championship at Oakmont (Pa.) Country Club. The record of 10,127 was established for the 2014 championship at Pinehurst Resort & Country Club’s Course No. 2, in the Village of Pinehurst, N.C.
Ken Venturi (1964) and Oklahoma’s Orville Moody (1969) are the only players to win the U.S. Open after qualifying through both local and sectional play. Last year, 27 players advanced through local and sectional qualifying to the 156-player U.S. Open Championship field at Oakmont. Of those 27, five players made the 36-hole cut, including Brandon Harkins, who started his journey at The Club at Ruby Hill, in Pleasanton, Calif., which will host a local qualifier for the ninth consecutive year. There are 16 local qualifying sites in the state of Florida, the most of any state. Fourteen local qualifiers are scheduled in California, while Texas will host seven local qualifiers. Online player registration for the 2017 U.S. Open will begin in the first week of March (https://champs.usga.org/index.html). Canterwood G. & C.C., Gig Harbor, Wash.
Mendakota C.C., Mendota Heights, Minn.
Seville G. & C.C., Gilbert, Ariz.
Fountaingrove G. & Athletic C., Santa Rosa, Calif.
Orchid Island G. & Beach Club, Vero Beach, Fla.
Oak Hill C.C. (West Course), Rochester, N.Y.
Wintonbury Hills, G.C., Bloomfield, Conn.
Bear’s Paw C.C., Naples, Fla.